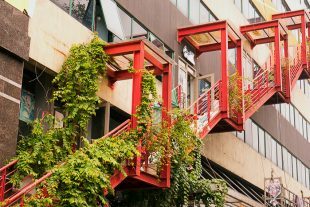 A building dedicated to hip clothing shops, internet startups, art projects, and international cuisine, Hanoi Creative City (or HCC) is a unique addition to the capital’s cultural scene. We spent a few hours there, trying to fit in with the ambitious young entrepreneurs and artists. 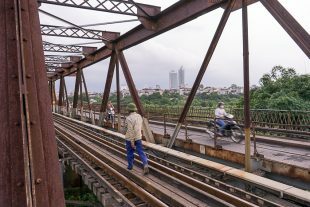 Walking across the historic Long Biên Bridge is not for the faint of heart. As motorbikes blaze by and trains rumble past, pedestrians have to step along crumbling concrete slabs, with the Red River visible through the gaps, dozens of meters below. Let’s face it. 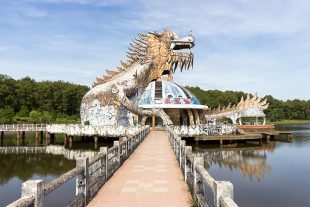 After enough time in Vietnam, there are going to be days where you’ve had enough time in Vietnam. The constant noise, impossible sidewalks and horrifying traffic eventually wear down the optimism of even the most passionate traveler. But escape is possible. 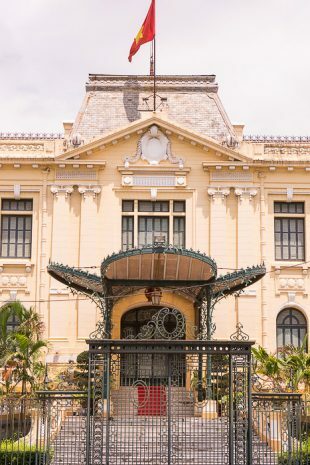 Just head to Hanoi’s French Quarter, where the streets are wide and clean, and the atmosphere is nearly European. “If you build it, they will come.” Wasn’t that supposed to be the lesson, Mr. Costner? But sometimes when you build it, they don’t come… and Hanoi has had to learn that the hard way. 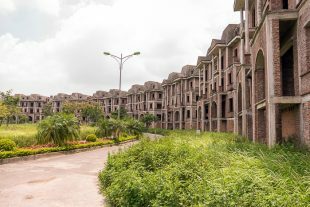 We visited the Lideco real estate project on the western outskirts of the city, to see the ruined remains of one of Hanoi’s biggest dreams. Thank you, Uncle Ho: our hero! 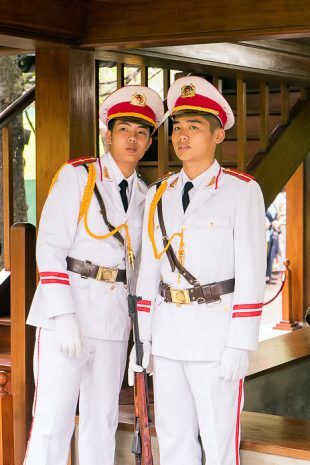 Leader of the struggle to free Vietnam from foreign influence! As a humble token of our gratitude, we honor you inside this mausoleum, where your corpse will be injected with embalming fluid and displayed eternally to generations of patriots … Uncle Ho? Why are you crying? 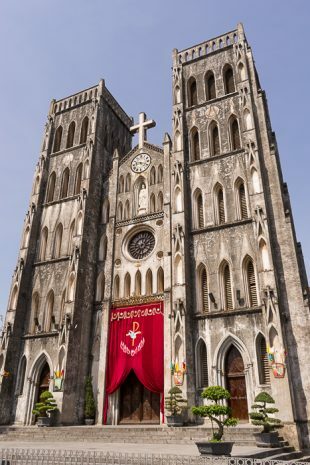 Consecrated in 1886, St. Joseph’s Cathedral was one of the first buildings constructed by the French after the conquest of Hanoi. 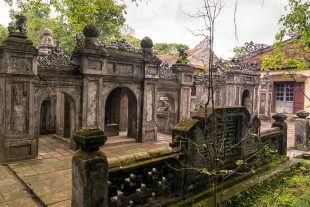 With a prime location just to the west of Hoàn Kiếm Lake, the church is among the most impressive pieces of colonial architecture in the city. 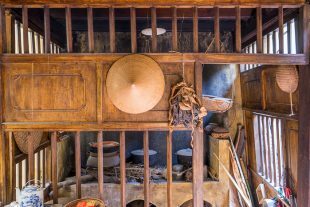 Because the Old Quarter of Hanoi has given itself over so completely to tourism, it can be hard to get a sense of its history. But if you’d like to see how families lived in the 19th century, head to the Heritage House, in the heart of the backpacker district at 87 Ma May. The best day we had in Hue wasn’t spent visiting ancient tombs or forbidden cities, but a humble pedestrian bridge. 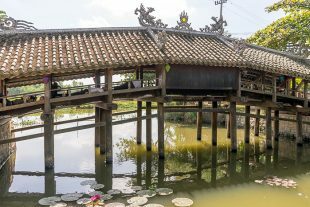 Found in the village of Thủy Thanh, the tile-roofed Thanh Toàn Bridge was built in 1776, and a trip to see it makes for an excellent excursion from Hue. Who would win between a gorilla and a cheetah? A cheetah and a giraffe? A giraffe and an elephant? An elephant and a tiger? Well, if you had been alive during Hue’s golden age, you’d know the answer to that last one, at least. We visited the arena where Tiger-Elephant death matches were a semi-regular occurrence.